Eileen Fisher is an American retailer selling womenswear and accessories. The emphasis on natural materials makes this store stand out as unique and of high-quality. The varied collection of apparel, from dresses to suits to pants, makes it a go-to choice for business women. With Big Apple Buddy’s personal shopping service, you can now buy direct from the Eileen Fisher online store anytime, anywhere. Steal the spotlight with Eileen Fisher's Mandarin Collar Dress! This classy dress flows seamlessly to form to you curves and remains simple with fluid cut. The signature mandarin collar makes this shirtdress modern and chic so you can wear it to a fancy night out or a more professional scene. The knee-length is perfect to accommodate to any weather and keep it lightweight throughout the day. Need shoes for the summer? 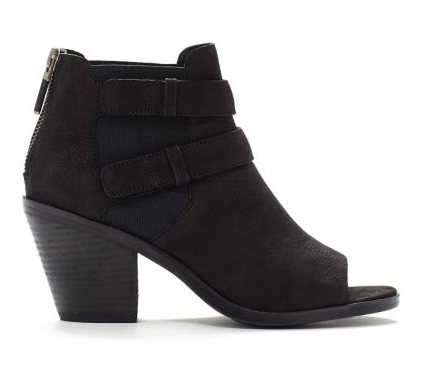 Complete your outfit with the List Bootie from the Eileen Fisher shoe collection. With a three inch heel, these boots give you the extra boost without becoming uncomfortable or painful. Always thinking about your feet, these boots have a padded toe, arch support, and heel lining so you can keep going without getting tired. It's the modern boot with an edge! 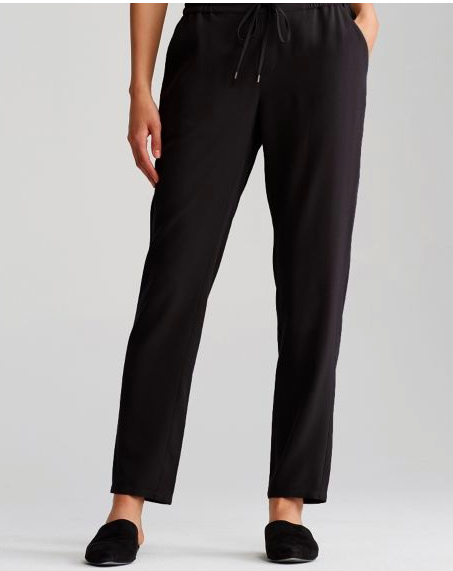 Don't miss out on the Eileen Fisher's System Slouchy Ankle Pant. It's a relaxed look with a drawstring waist that you can adjust but maintains the elegant design. You'll never want to takes these pants off! They're perfect for any type of weather and occasion. The silky material is soft to the touch and will go perfectly with a blouse or shirt. You'll be able to dress up or down with these versatile pants. Unfortunately, the USA Eileen Fisher online store does not currently offer international shipping. However, Big Apple Buddy, your personal shopper, can help you buy products direct from the official USA Eileen Fisher online store and ship them to your doorstep, no matter where you are in the world. We offer international shipping to over 110 countries including Australia, Austria, Azerbaijan, Bahrain, Belgium, British Virgin Islands, Brunei, Bulgaria, Canada, Chile, Costa Rica, Croatia, Czech Republic, Denmark, Estonia, Fiji, Finland, France, French Polynesia, Germany, Gibraltar, Greece, Greenland, Hong Kong, Hungary, Iceland, Indonesia, Ireland, Israel, Italy, Japan, Jordan, Kuwait, Latvia, Liechtenstein, Lithuania, Luxembourg, Macau, Malaysia, Maldives, Malta, Marshall Islands, Mauritius, Monaco, the Netherlands, Netherland Antilles, New Zealand, Norway, Oman, Poland, Qatar, Romania, San Marino, Saudi Arabia, Serbia and Montenegro, Seychelles, Singapore, Slovak Republic, Slovenia, Spain, South Africa, St. Lucia, Sweden, Switzerland, Taiwan, Thailand, the UAE, the UK, Vatican City, and Vietnam. If you would like to buy from the USA Eileen Fisher online store, simply let us know which items you would like to order (by filling out the form below) and we’ll get back to you with a free international shipping quote within 24 hours!